Quote Reply Calendar Event: Spring Fling near Los Angeles April 13-14 going? Hey everyone, I was just looking and didn't see anyone else talking about it. Is anyone planning on Going to this event? It is at Woodley park in Van Nuys in the "greater Los Angeles area" right on Victory blvd. I know it's a Mopar show but they have an AMC class... Just want to know if any of the guys on here will be there so I can stop and say Hello. I didn't make it after all... if anybody else went please post pics of the AMC's. Evidently not many AMCs were at Spring Fling. 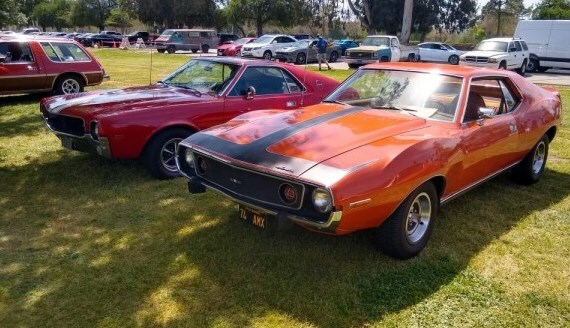 Several members on a MOPAR site I'm a member of, posted many photos of Spring Fling2019 . Only came across this one photo of three AMCs at the show : Pacer wgn? 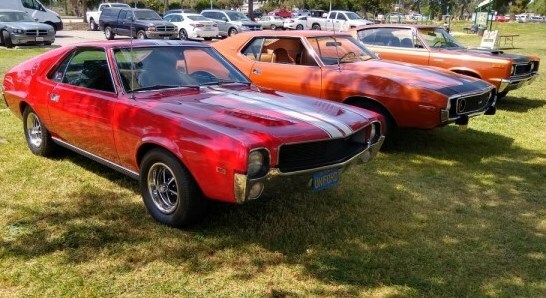 1968 AMX, and a 1974 Javelin. We numbered a total of 7 AMCs in a sea of Mopars .- Rambler wagon,AMX,Rebel machine,Javelin AMX, Gremlin, and 2 red Pacer Wagons . aww crap! i'm just hearing about this now. i would have gone. 20 minutes away. where was this announced? apparently i'm not watching the right channels. It's primarily a mopar show that also has some AMC's but they do it twice a year at Woodley park in Van Nuys. They have a fall fling as well.